Planning out your summer vacation and looking for things to do in Nova Scotia, Canada? From museums and historic sites to art galleries, nature tours, and white-knuckle adventure, Nova Scotia has something for all visitors, of all ages and inclinations. That’s without talking about the thousands of miles of beautiful coastline. You’re never further than 80 miles from the sea when you’re in Nova Scotia. Get ready to explore the best of this maritime Canadian province. Puffins are some of the cutest birds on the planet, and they love to make their homes among the rocky islands surrounding Nova Scotia. There are many companies operating boat tours around the islands, where you may also spot seals, other seabirds and – if you’re lucky – a bald eagle or two. Book your spots in advance, as these tours are very popular among keen travelers during the summer. For those who like a relaxed day on the course, you’ll be pleased to hear that Nova Scotia has plenty of golf courses to enjoy. A number of ‘play and stay’ deals make your accommodation needs easy. It’s definitely one of the most beautiful places on Earth to enjoy this sport. Rather like the country of Scotland where it takes the Latin name ‘Nova Scotia’ from – meaning ‘New Scotland’. Ziplines have become a hot attraction in many places around the world, thanks to the unique perspective on the landscape they give riders. Check out the Anchors Above Zipline near French River. It’s Nova Scotia’s biggest line. Zip through the trees on the hills just south of the Trans Canada Highway. You’ll enjoy spectacular views through the forest during your thrilling descent. For an urban retreat, head to the province capital: Halifax. But don’t expect a New York-style atmosphere! Halifax might be a city, but it has a population of just over 400,000, meaning it is far more relaxed than many others. If you’re in Halifax during the end of June to the beginning of July, don’t miss the annual Tattoo. Expect military marches, dancing, bagpipes, and acrobatics, held in a very family-friendly atmosphere. Old Town Lunenburg is a jaw-dropping UNESCO World Heritage Site – UNESCO calls it the best surviving example of British colonial settlement in the Americas. The wooden structures built in the 1800s have been carefully preserved for more than two centuries, and the town retains its superb original appearance because of these safeguarding efforts. As you walk around its narrow streets, you’ll get a rare sense of what life might have been like for the maritime inhabitants building a brand new life for themselves in Canada. Aside from the historic district of Old Quebec, this is the only urban UNESCO Heritage site in Canada. Take advantage of Nova Scotia’s strong maritime history with a sailing tour around its rugged coastlines. Knowledgeable and friendly guides will teach you about the history and wildlife around the area. There are some unique experiences to enjoy besides the friendly local boat operators. Try a ride in the 48-foot ‘ketch’ vessel which tours Old Town Lunenburg – it departs for sailing tours on a daily basis. Another UNESCO heritage site, the Joggins Fossil Cliffs are, as the name suggests, full of fossils. A huge number of trees and animals are fossilized in the cliffs, including extinct species found nowhere else on earth. These cliffs are a fascinating day out with the kids, or just for the curious! The Cabot Trail winds its way around Cape Breton Island, the eastern tip of Nova Scotia. Spend an afternoon driving the trail, stopping off for photographs and snacks as necessary. Or for the more adventurous, try out kayaking, whale watching, or cycle your way around the trail. Then for a dinner treat, enjoy traditionally-prepared lobster, clams, scallops, or crab, at one of the many seafood restaurants dotted around the trail. You can go white water rafting on a tidal bore – a type of wave – in Nova Scotia. The Bay of Fundy is famous for its reliable bore, which changes the course of the river, pushing water back inland as the tide surges inwards at speed. Check with the rafting operator to choose a visit that suits your abilities – depending on tidal patterns, the bore will be stronger at some times than others. Explore the history of the Acadian people, French colonial descendants who were subject to deportation during Le Grand Derangement in the mid-1700s. This is the 3rd UNESCO site on our list, but it was only placed on the official UNESCO list in 2012. While you’re out here, you can explore the beautiful countryside and rural communities in the surrounding area. Nova Scotia is a hospitable and friendly province – you can expect the warmest of welcomes here. Check out TripAdvisor Nova Scotia recommendations for places to stay, or ask the locals once you’re there. They’re an approachable bunch, who’ll be very pleased to help out a tourist in need of a recommendation or two. We’ve tried to include as much as we can in this list, but the truth is there’s only so much we can write before you’ll be itching to be off! You’ll find far more things to do in Nova Scotia once you’re there. We hope you have a fantastic vacation, and perhaps you’ll even decide to go back to Nova Scotia the following year! Or if you’re looking at a trip to other parts of Canada, here’s how to plan your dream trip. If you love the outdoors, you need to add visiting these national parks to your bucket list. See what we rank as the best national parks to see. You don’t have to travel across the world or in an exotic location to have an unforgettable trip. So much of the world’s beauty lies in our own backyards. And, in fact, more Americans than ever before are venturing on road trips to experience all the wonder that comes from the Great Outdoors. Let’s get into the best national parks you need to place on your bucket list! Home to more than 20 stunning waterfalls, gorgeous landscape, and beautiful rock and forest formations, over 4 million people make their way to Yosemite each year. Yosemite is home to all kinds of adventures from camping to rock climbing to horseback riding to swimming. The main highlights in Yosemite include Half Dome (you’ll need a permit to go hiking), El Capital, Bridalveil Fall, and Tuolumne Meadows. The Grand Canyon is stunning- that’s the plain and simple truth. The stunning panromantic views automatically make it one of the best national parks in America. The canyon itself is massive- about a mile deep and 10 miles in width, and it’s over 6 million years old (with some rocks dating back to 2 billion years). The Grand Canyon is home to all sorts of family-fun activities, and it’s also great for hiking enthusiasts looking to set their sights inside the canyon. Main highlights include North Rim, Bright Angel Trail, Havasu Falls, and the Grand Canyon Skywalk. Famously cited as one of the first (and best national parks) in the world, Yellowstone certainly doesn’t disappoint its visitors. Yellowstone runs on continuous volcanic activity, and you’ll get to experience all the resulting geysers, hot springs, and mud-pots associated with those formations. Yes, you’ll get to see real lava flowing, and what could be cooler than that? Furthermore, if you’re an animal lover, Yellowstone has it all- from all kinds of bears to bison to wild horses. The top highlights include Old Faithful, Mammoth Hot Springs, and Yellowstone Lake. Zion is truly home to some of the most epic adventure you can experience. Enjoy the huge sandstone cliffs and hike around, taking in all the stunning scenery. There are tons of Zion park lodging options that allow you to experience the park’s dynamic beauty (including all those killer starry nights). Other highlights of Zion include hiking the Narrows, exploring the Subway, and climbing up Lady Mountain. If you’re a rock climber, Joshua Tree is your playground. Where most of the best national parks turn ice cold in the winter and spring times, you’ll get balmy temperatures here in Southern California. On the flip side, if you visit during the summer months, you’ll be in scorching 100+ degree temps, so plan accordingly! Joshua Tree is a famous rock climbing spot for climbers and boulderers all around the world. Don’t climb? Try your hand at scrambling or hiking up the different rock formations. You’ll also experience some truly unforgettable sunsets and stargazing experiences. Highlights in Joshua Tree include Hidden Valley, Barker Dam, Lost Horse Mine, and Jumbo Rocks. Yes, the best national parks can be close to the beach, and this one is truly magnificent. If you needed another compelling reason to visit Hawaii (how many reasons does someone need), then go for the active erupting volcanoes. In this park, you may be lucky and get to witness molten lava flowing down the volcano into the ocean. Talk about an unforgettable sight. You’ll also just get to trek on lava throughout your hike, and that’s pretty cool in it of itself, right? Famously known as one of the most visited national parks in the United States, this park covers 816 total square miles. The Appalachian Trail runs directly in the center of the park, and there are currently more than 800 miles of direct hiking trails. Highlights include Chimney Tops Trail, Fontana Dam, and Clingmans Dome. Another fun fact? There are at least 19 different firefly species here! Even though Grand Teton is close to Yellowstone, it’s still considered one of the best national parks, and it shouldn’t be missed! Grand Teton is home to numerous mountains, valleys, lakes, and rivers, and it’s rich with wildlife and animals. It’s smaller than Yellowstone at only 484 miles, but it has plenty of unforgettable hiking, backpacking, and incredible sights. Have you ever stood somewhere and only been able to see orange all around you? Probably not. If you visit, Arches, however, that’s exactly what it will look like. This park has more than 75,000 acres of different canyons, rocks, petrified dunes, and sandstones- stretching out in every single dimension. You can drive or hike through most of the park, depending on your preferences. 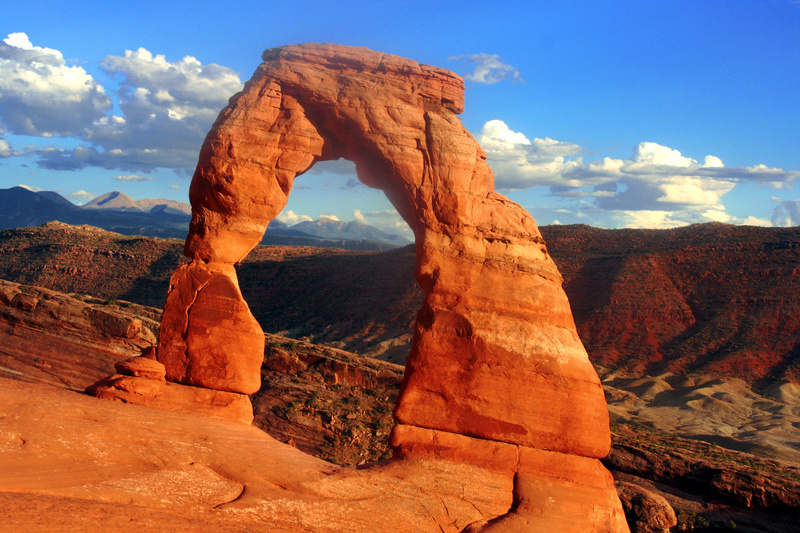 With that said, the famous highlights include Delicate Arch (yes, the famous classic arch), Fiery Furnace, and Double O Arch. When most people think about the best national parks, they think about the Midwest or West Coast. They don’t necessarily think about Maine, but it’s home to some truly stunning and exciting sights up in Acadia. From hikes to lakes to unforgettable beaches, Acadia leaves room for awe and wonder everywhere you turn. Be sure to check out Schoodic Point, Sand Beach, Thunder Hole, and Cadillac Mountain. Adventure awaits in your home state- or just a road trip away! Before you start looking abroad for an unforgettable experience, consider the virtues of all that America can offer! Are you interested in learning more about the top travel tips in North America? Be sure to check out our blog today! Are you interested in visiting Niagara Falls in the near future? Will this be your first time to the area? Are you hoping to have the time of your life? It doesn’t matter if you are visiting alone or with your family. It doesn’t matter if you are visiting for business or pleasure. There should only be one thing on your mind: having an enjoyable experience. As you begin to research your trip, you’ll find that there are many hotels vying for your business. Some of them have even hired a marketing agency to give them the best possible chance to connect with their target audience. The way you book your trip is your decision, but don’t overlook the many benefits of looking for Niagara Falls hotel packages online on a site like Expedia. Need more convincing? 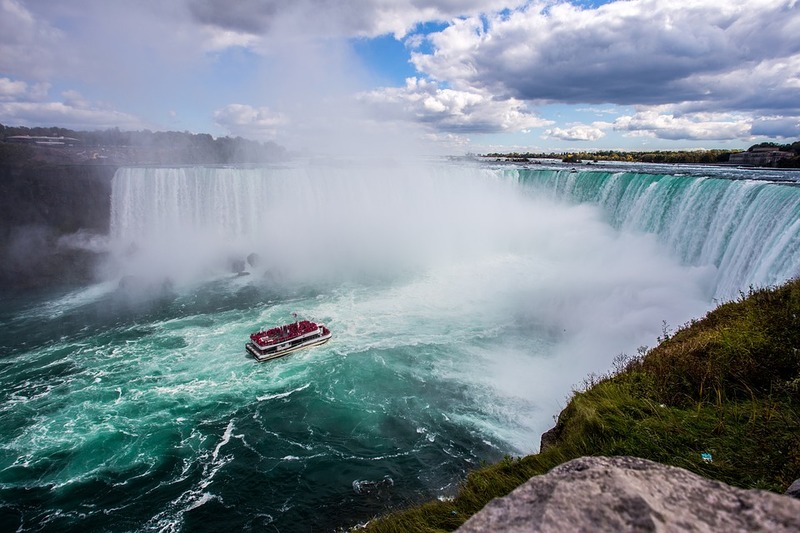 Here are 5 benefits of booking a hotel package for your next trip to Niagara Falls. There used to be a time when booking a Niagara Falls hotel package meant calling a travel agency, hearing about all your options, and attempting to make a decision without access to a lot of information. Thanks to the internet, you no longer have to go down that path. You can now find a variety of Niagara Falls hotel packages online, ensuring that you’re in position to compare all your options. You should always look to save money when taking a trip. Even if money is no object, nothing changes the fact that there are steps you can take to save a few dollars here and there. 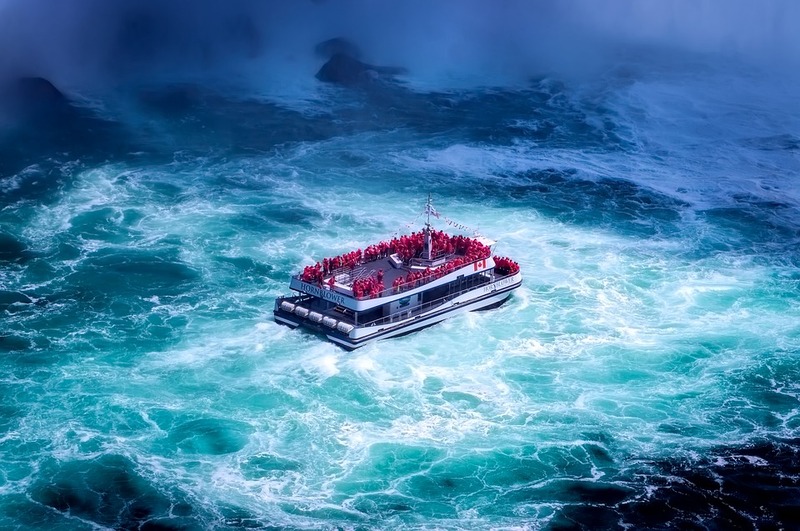 When you book a Niagara Falls hotel package, everything is included in your price, but when you separately book different aspects of your trip, this isn’t the case. Subsequently, your costs can quickly rise. Many people shy away from hotel packages because they don’t think they’ll have access to the best deals. You don’t want to get into this frame of mind. You can find plenty of options, as long as you search the internet with an open mind. For example, there are travel packages for people on a budget. There are also travel packages for those traveling with children. As long as you know what you want, you can find an option that suits your needs. It goes without saying, that you’ll come across several Niagara Falls hotel packages. At first, you may not like what you see. However, remember this: most packages allow you to customize the details of your trip. So, if you’re traveling with your children who enjoy webtoon comics, you can take this into consideration when comparing hotels. Maybe you’re traveling to Niagara Falls on your honeymoon. Once again, you can customize the trip to match the wants and needs of you and your partner. There is never a good time to stress yourself out. This is particularly true when taking a trip. After all, this is supposed to be an enjoyable experience. If you get stuck booking everything one piece at a time – such as your hotel, flights, and rental car – the stress of lining everything up can begin to bog you down. With a Niagara Falls hotel package, you don’t have to worry about this. Once you choose your package, you know that everything you need will be waiting for you. Talk about a great way to reduce stress! As a final point of advice, it always makes sense to read online reviews before booking a hotel package. Sites like Oyster are dedicated to reviewing hotels, so take advantage of the time they’ve already spent! This will provide a clear view of what others think of the hotel, thus giving you an idea of what to do next. You don’t have to believe everything you read, but you can pick up plenty of solid information by reading online reviews. You might as well take full advantage. So, there you have it. These are just a few of the many benefits of a Niagara Falls hotel package. If you want to visit the area in the future, this is one of the better ways to get all the necessary details in order. Do you have any experience traveling to Niagara Falls? Did you ever book a hotel package? What were the pros and cons of doing so? Share your experience and advice in the comment section below. If you want a variety of entertaining things to do a vacation trip to Virginia can tick all the right boxes. The state of Virginia is packed with interesting historical sites and there are also plenty of ghostly tales to be told too, so here are some highlights to look out for when you come to visit. One of the most interesting and important places of historical importance in the state is Fredericksburg and there are some key Civil War battlefield sites and significant buildings to visit. If you stay at accommodation such as the Courtyard Fredericksburg Historic District you will be able to explore all the historical sites and monuments in the immediate area with ease. The Fredericksburg Battlefield Visitor Center would be a good place to visit and will give you a great insight into the historical importance of the area, plus some pointers on other places of interest to go and enjoy. Another must-see for your Virginia vacation is Colonial Williamsburg. The Historic Triangle site consists of Williamsburg, Jamestown, and Yorktown. All of which played a significant role in the story of colonial America and these three places can all be viewed within easy reach of each other. When you visit Colonial Williamsburg you will get a real feel for the past events that have gone on here, especially as there often period actors in the historic park to add a level of authenticity to the surroundings. As well as all the buildings and the historic park to enjoy you will also find that you are close to a number of excellent shops and restaurants when you walk down Duke of Gloucester Street. If you are someone who likes the idea of a scare or two there are a quite a few ghost stories to hear about when darkness falls in Williamsburg. Ghost-hunting tours are really popular in the area and it can be a fun way to learn some local stories provided you are not of a nervous disposition. Whether you choose the Dead of Night ghost tour or one of the others that run regularly in Williamsburg, it can be a hair-raising but fun way to end an enjoyable day in the area. If you are going to visit the Historic Triangle it makes sense to include Yorktown in your itinerary, as it was a pivotal site for both the Civil War and the American Revolution. The updated American Revolution Museum in Yorktown will provide you with an interactive history lesson and the Yorktown Battlefield would be a good port of call afterward, as it is only a short hop from the museum. Virginia will provide you with plenty of entertainment and education in equal measure and is a great place to spend a vacation, so plan your trip and even include a few ghostly tales in your trip to add to the fun during your time in this historic state. New York City is one the most visited cities in the world. In 2016, over 60 million people visited New York to take in the city so nice they named it twice. New York is home to over 8 million people who live within roughly 305 square miles of the city limits, making it one of the most densely populated cities in the world, second only to Paris. As such, every corner of the city holds unique wonders that visitors should try to see. 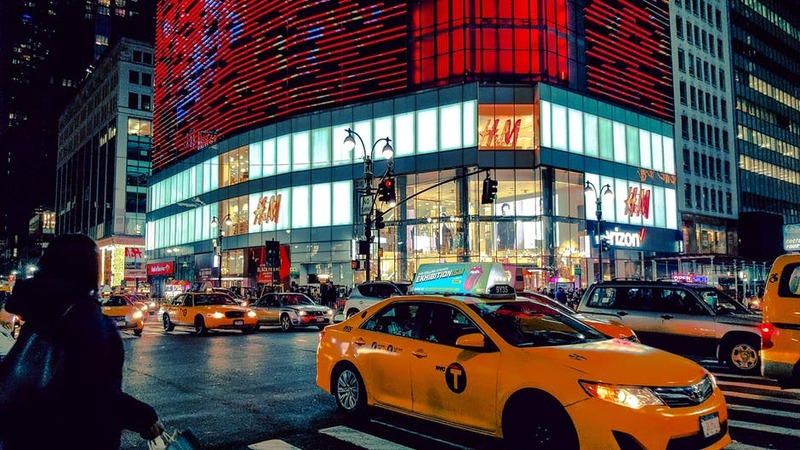 Whether you have just launched a few new business ideas that took off or are a traveler interested in a budget-conscious trip, this article will help you to discover parts of the city that only true New Yorkers know about. Time Square, the Empire State Building and Circle Line Cruises are all tourist traps. True New Yorkers avoid these destinations like the plague. While you may be interested in visiting these locations due to cultural or historical significance, know that if you do you will not be seeing the city that most New Yorkers know and love. Instead, you’ll be experiencing a tourist destination that caters to the desires of out-of-towners. Instead of going to the tourist traps mentioned above, check out some of the significant but less popular locations mentioned later on in this article. New York is divided into a series of neighborhoods. 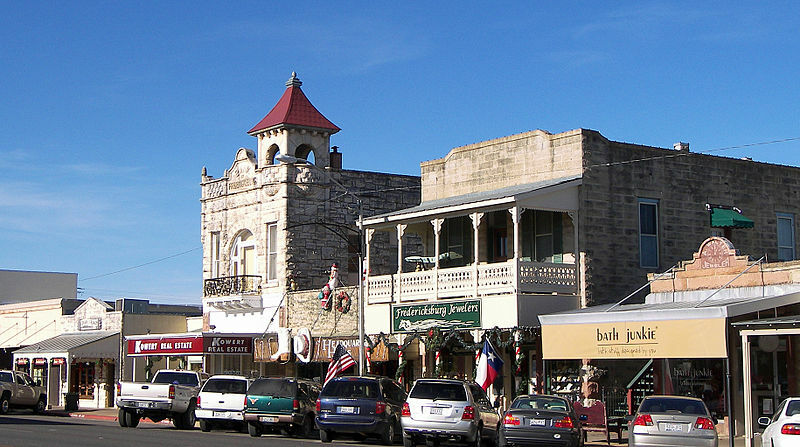 Due to social norms and zoning laws, each neighborhood has developed a unique characteristic that is all its own. Before planning your trip, take a minute to survey a map of New York neighborhoods and try to visit as many as possible. Among a few of the neighborhoods to visit is the Upper West Side, home to the Museum of Natural History, the Metropolitan Opera, and famous apartment buildings like the Dakota and the Apthorp. SoHo is another great neighborhood to check out, it features trendy popup stores, cute bars, and high-end restaurants like Balthazar and the Mercer Kitchen. Williamsburg Brooklyn is yet one more great New York neighborhood. Many credit its residents for giving rise to the “hipsters.” Visitors should check out Output or the Music Hall of Williamsburg for great music, grab a drink on the rooftop bar at McCarran Hotel, and head to Fete Sau for great barbeque. One study found that Queens New York was one of the most diverse places in the world. It is because of this diversity that Queens is home to a number of fantastic ethnic eateries that allow visitors to sample from a wide variety of delicious and hard to find food. Among the restaurants to check out are the Arepa Lady, which serves delectable South American pastries, and Mu Ramen, which features authentic Japanese ramen. Located in the iconic Greenwich Village, the Comedy Cellar is one of New York City’s great comedy clubs. Famous comedians like Jon Stewart, Chris Rock, Sarah Silverman, and Louie CK all got their start performing at the Comedy Cellar. As a result, it is not uncommon for these and other famous comedians to take the stage from time to time. Nothing says old New York like a great jazz nightclub. Founded in 1935, the Village Vanguard is an important historic center of New York and of American music history. Great jazz musicians like Miles Davis, Thelonious Monk, Bill Evans and John Coltrane either performed live or recorded albums there. Today, the Vanguard regularly hosts world-famous jazz musicians. The Whitney Museum is located in the Meatpacking District, near the Highline. This makes it well situated within a great New York neighborhood, and next to another great New York attraction. Visitors should check out the exhibits inside of the Whitney (which change on a regular basis) and should then head to the trendy shops and restaurants in the Meatpacking District before taking a stroll on the Highline. There are always numerous reasons not to take a trip. Maybe you don’t want to leave the house before you fix your leaky faucet or you are simply waiting for a big raise before setting off for the Big Apple. Whatever your excuse, know that when you do eventually make it to New York City, there are a plethora of intellectually stimulating, fun, and eye-opening experiences waiting for you when you arrive. So many people around the world want to visit Canada. The country combines pristine natural beauty and livable cities with amazing and friendly locals. 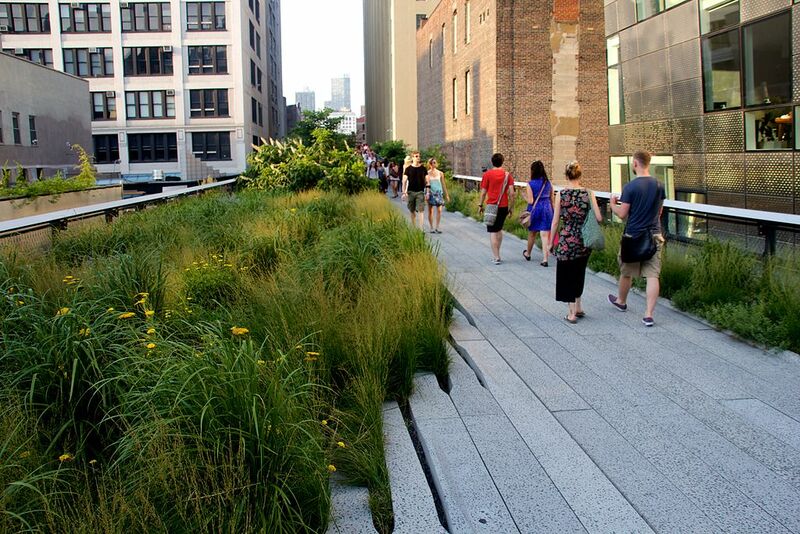 You can spend your time exploring some of the cities or get down and dirty with nature. It’s also easy to get into the Arctic Circle in the northern parts of the country. More people are taking a trip to Canada and this article describes some tips on how to plan your dream trip this year. It all depends on your destination and where you’re coming from. All major cities have regular flights to and from the United States and Europe and the domestic airports are also well connected in this vast country. If you look in the right place, it’s quite easy to find a cheap flight to Canada. In short, Canada is awesome because it has so many different things to do all throughout the year. You can enjoy the natural beauty and see Niagara Falls or visit one of the many UNESCO World Heritage Sites. The country also holds regular music festivals in the warmer months. When the temperature starts to drop, everything becomes a winter wonderland. And then you have the chance to take part in winter sports and try new experiences, such as dog sledding. Other reasons are that the food is great, the country and cities feel safe to walk around, and people are very open-minded. And on top of this, Canada also has a prominent wine industry that the visitors love to sample. Quebec is a favorite for many travelers who want to experience a little bit of French culture without flying all the way to France. The city is full of cobblestoned streets and cathedrals with the sights and smells that you would expect over in its trans-Atlantic sister. Quebec is a UNESCO World Heritage Site and has a lot of history and culture to keep all visitors entertained. Toronto is one of the most multicultural cities in the world. You can find little enclaves of different nationalities in and around the city, which gives you access to any type of food you crave. The major attractions are the large underground mall and the CN Tower. It’s also a perfect place to eat in one of the high-end restaurants or sip cocktails on rooftop bars. Tourists visit Vancouver to experience the outdoors. You can find lots of parks and nature reserves around the city as well as beautiful coastlines. If you head out a short distance away from the city center, you’re surrounded by nature that’s perfect to get off the grid for a few days whilst camping. Canada is a great country with a diverse range of landscapes and activities at any time of the year. You can experience one of the major cities or get out into nature. Whatever you want to do, Canada has something to suit your interests. Last month, I was sent to New York to conduct a special football training for some middle-school kids in the Bronx. It took me only a few hours for the whole preparation and the training itself, so I decided to take a walk around the city and visit a few sports stores afterward. I was expecting to have a lazy walk with window-shopping, and actually, it had been like this until I found a small local football shop that was selling the football gear of my favorite brand. What’s my favorite brand you ask? It’s Under Armour. I didn’t count the time I had spent in the shop, but eventually, I ended with the whole pile of great football gear. – UA Spotlight Men’s Football Gloves appeared to be very comfortable. They reduce twisting of the fingers and provide decent support for the hand. Also, they are seamless and made of Heat Gear fabric, so my hands remain dry during the game. I have been using them for three weeks so far, and feel very happy with this purchase. I made this decision by reading the reviews at shocpro.com. Hope, they will stay in such a good condition for a while. – UA Gameday Armour Arm Sleeves also seem to be a very good choice. They are very light and comfortable. Since the fabric absorbs sweat I feel completely dry during the game. A few days ago I was hit while practicing and fell down on my elbow. Thanks to the armor sleeve my elbow didn’t get any particular damage, so it really gives decent protection and makes you feel more secure about your health and life on the field. – UA Home & Away Chin Pad Pack was on sale, so I’ve bought it only for $6.74, which is half of the regular price. The chin pad is very soft, constructed in stretch neoprene and Heat Gear fabric. It gives extra protection and comfort for my chin, so I like using it both for the training and the games. – UA Armour Fuse Chin Strap was the last item I’ve bought that day. Even though I have another Under Armour chin strap, but I could not resist to a very generous offer (I bought it only for $5 instead of $20!). I haven’t used this one yet, but it seems to be very strong and convenient. The internal foam pad is removable and washable, which is very important to me, as I like keeping my things clean. I hope my review can help other people to choose their football gear. Under Armour is not the only sports brand I like, but when it comes to the football protection, I prefer to buy the products of trusted and well-known companies. My motto is: ‘Play hard but stay on the safe side‘. Let me know what your motto is by commenting below. Want more travel tips? Check my latest posts here!